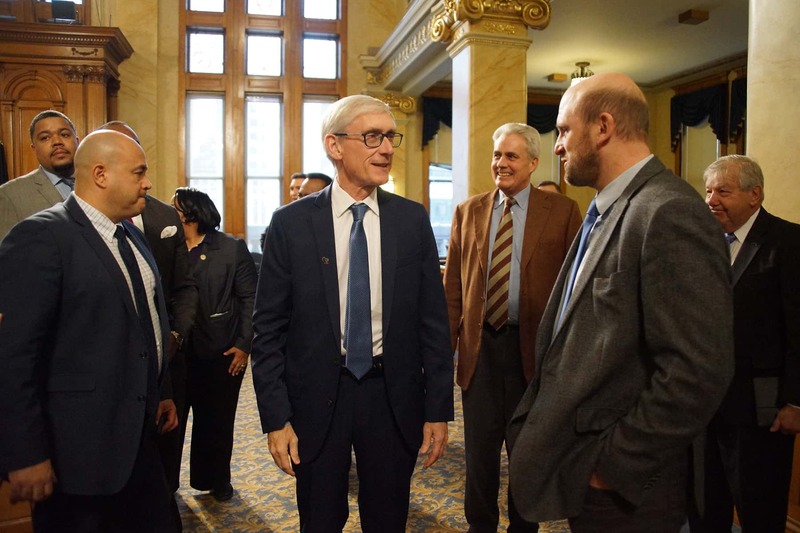 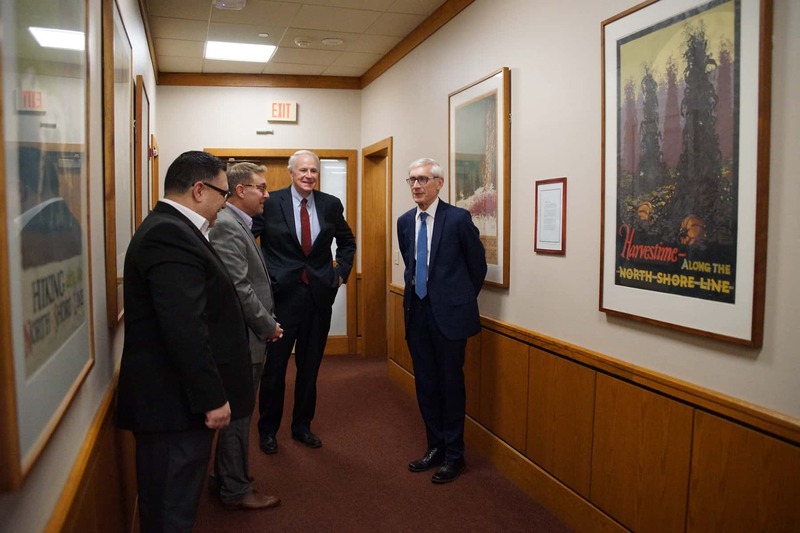 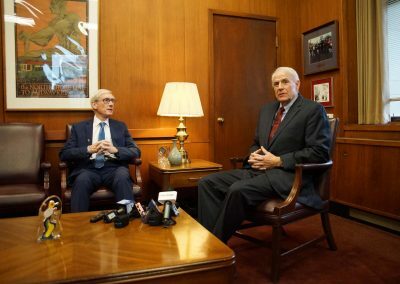 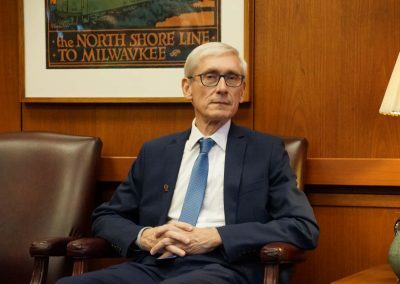 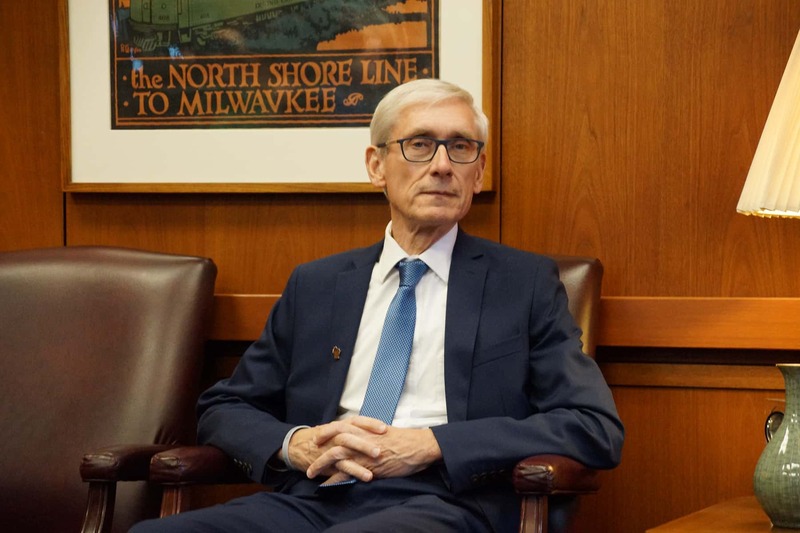 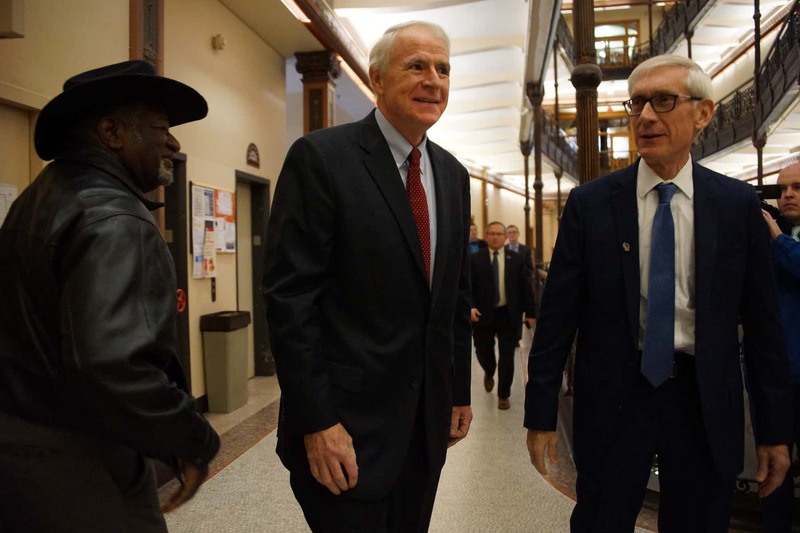 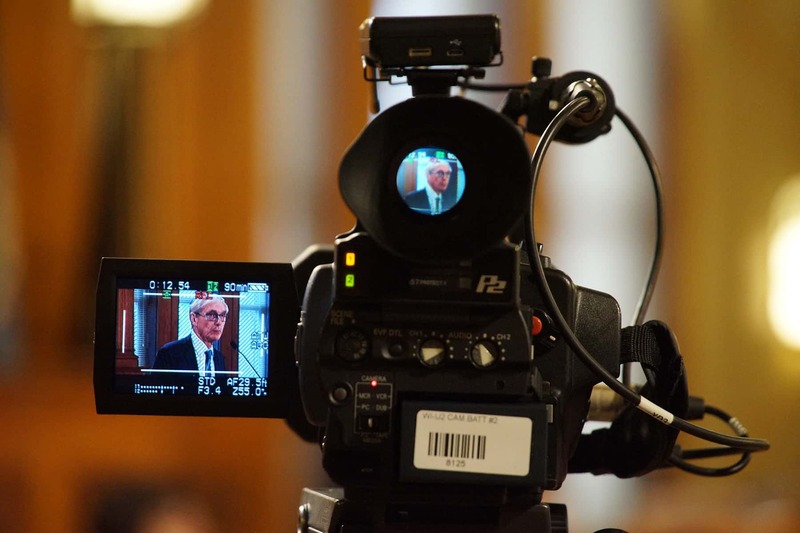 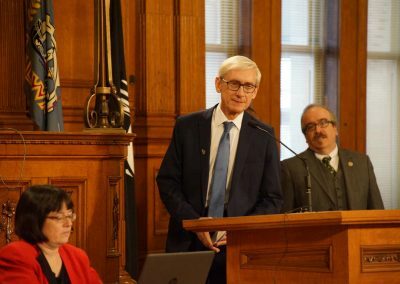 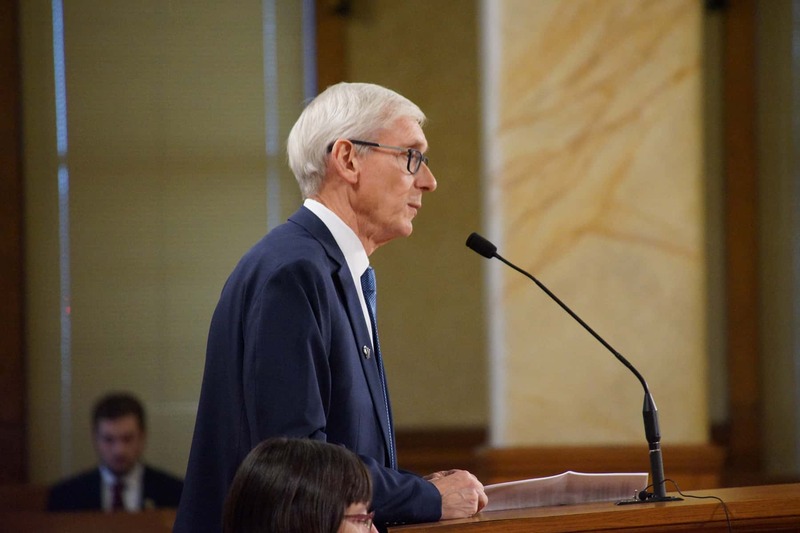 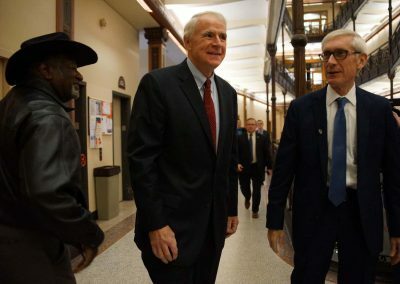 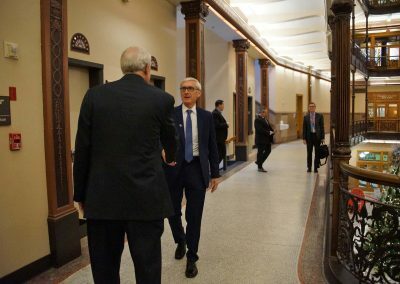 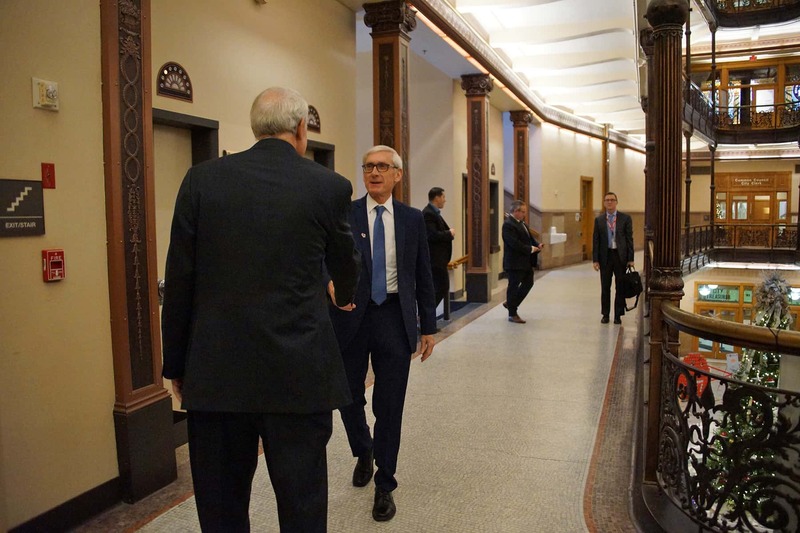 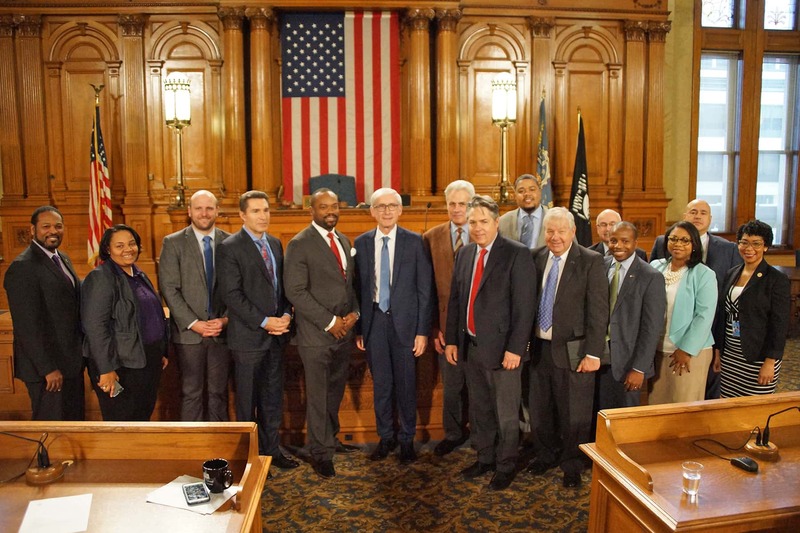 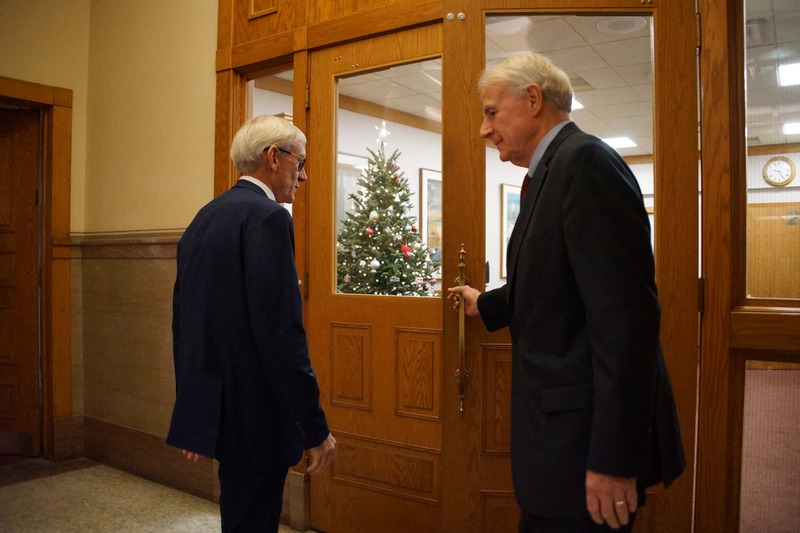 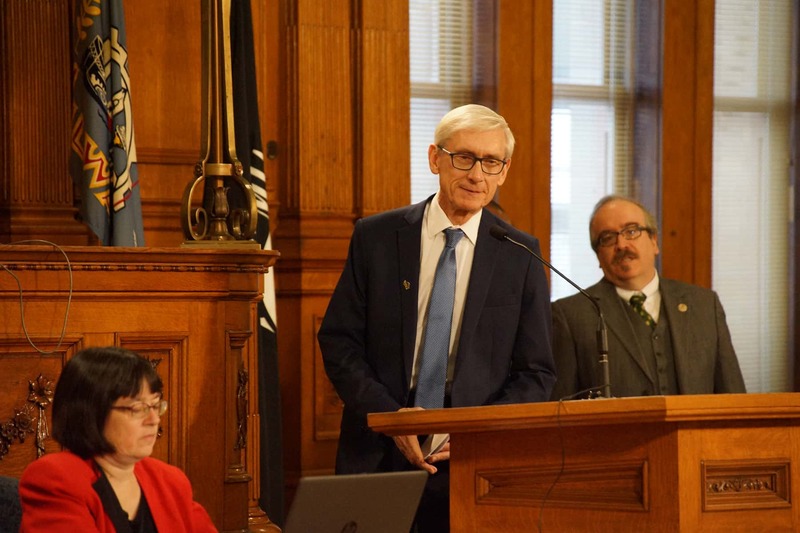 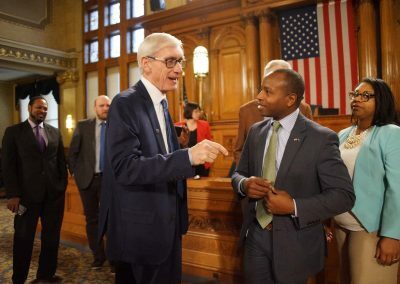 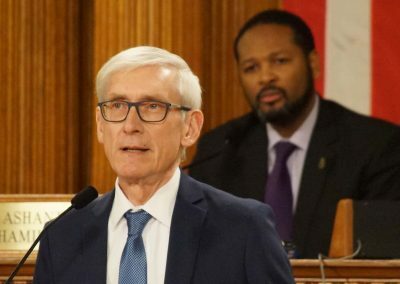 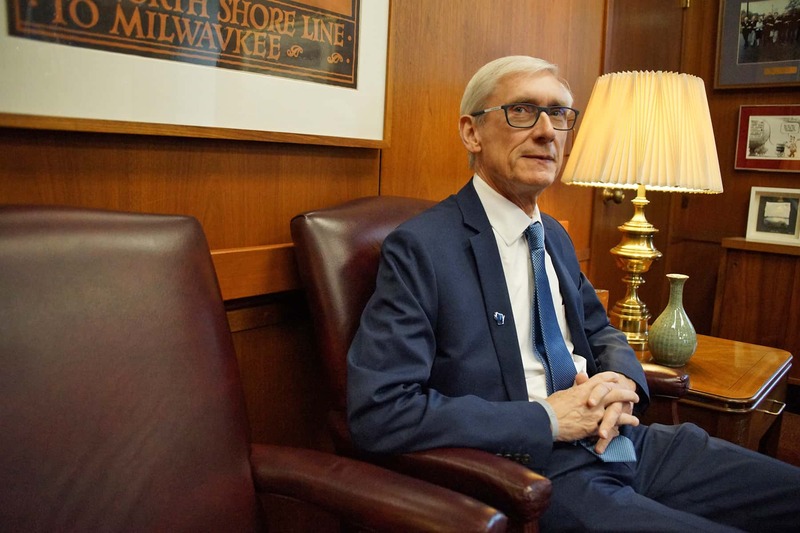 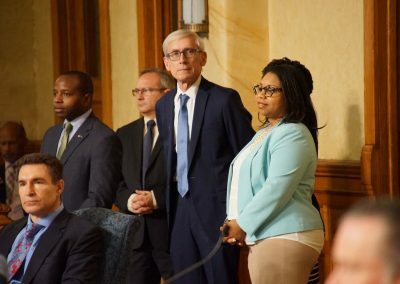 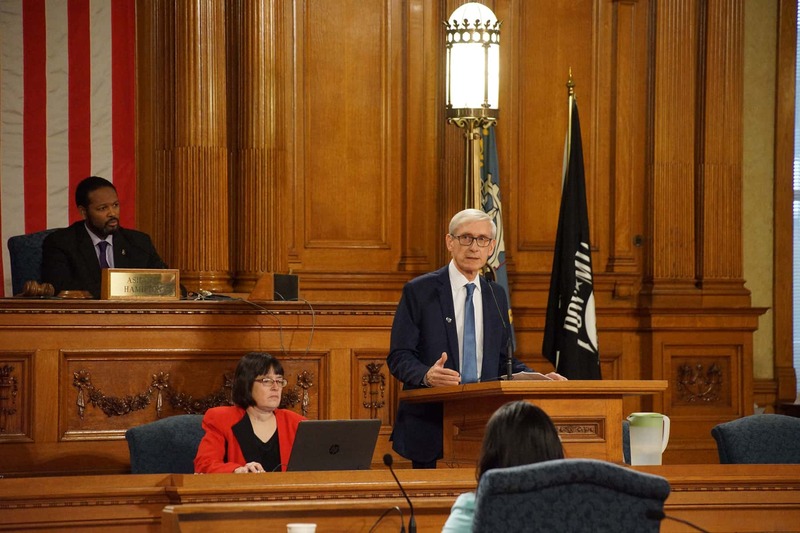 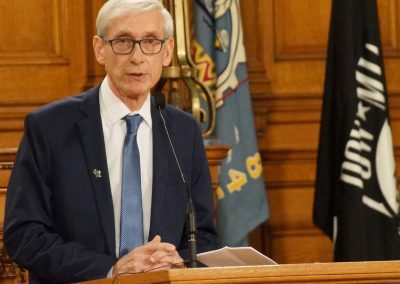 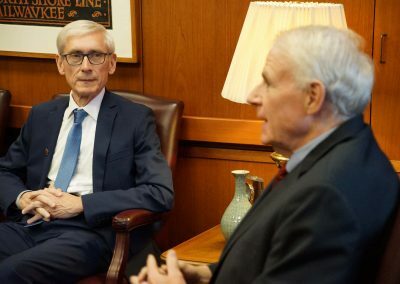 Governor-elect Tony Evers made his first trip to Milwaukee City Hall since winning his election to meet with Mayor Tom Barrett and address the Common Council on December 4, while the Wisconsin Legislature’s extraordinary session in Madison took aim at altering the state’s democratic process. 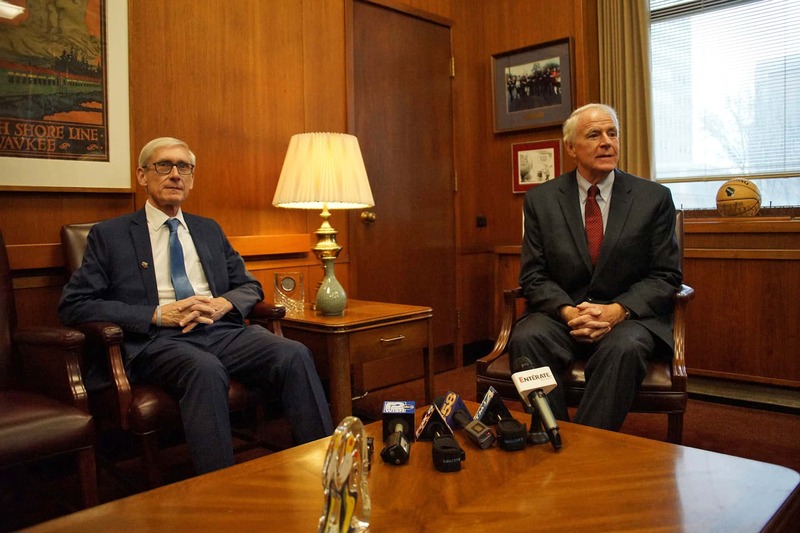 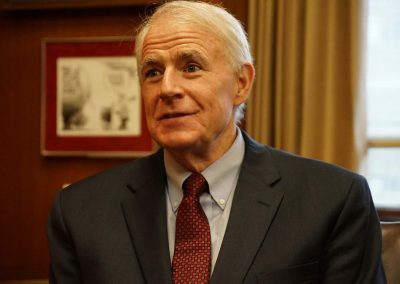 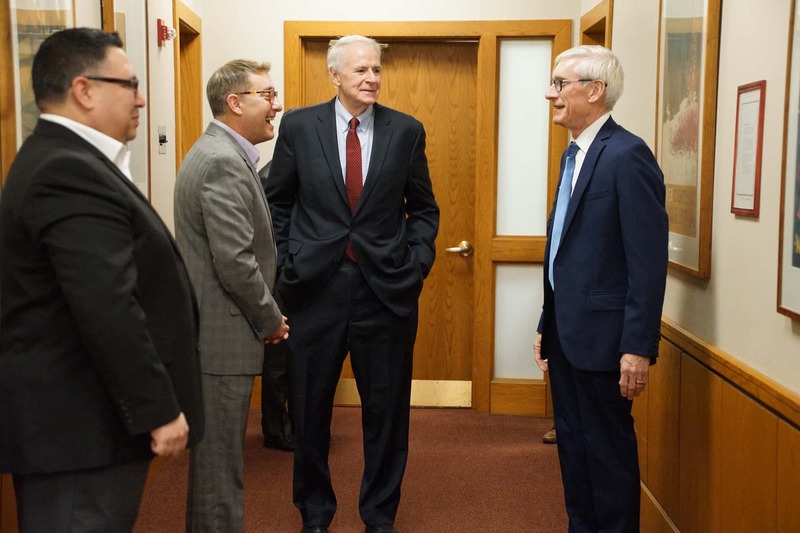 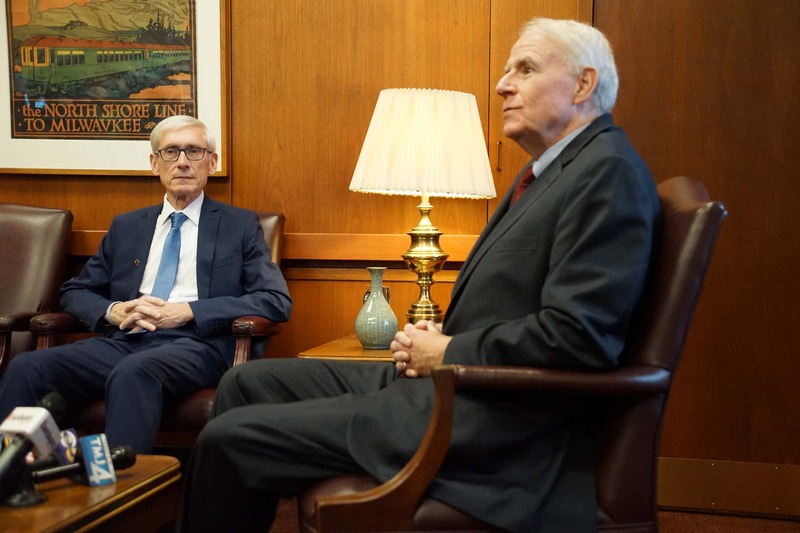 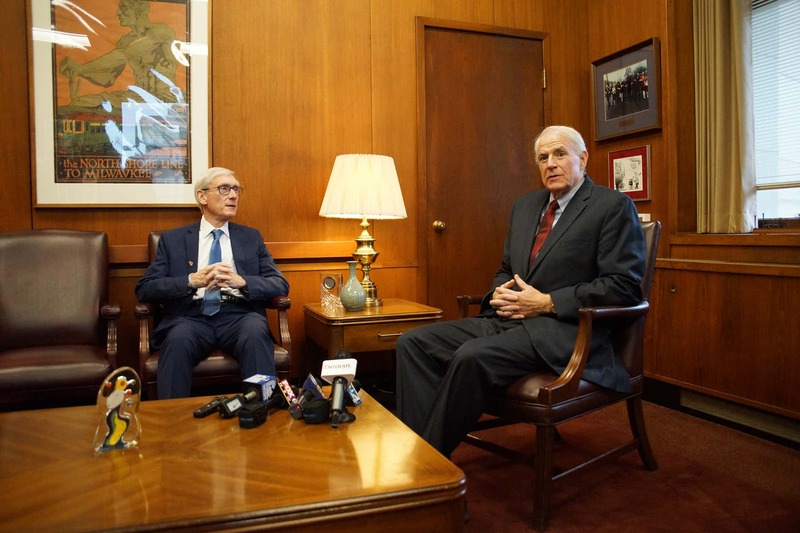 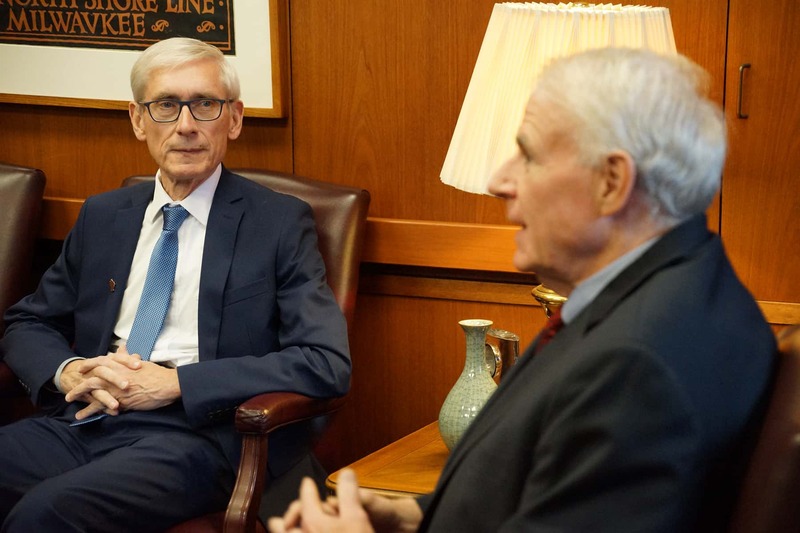 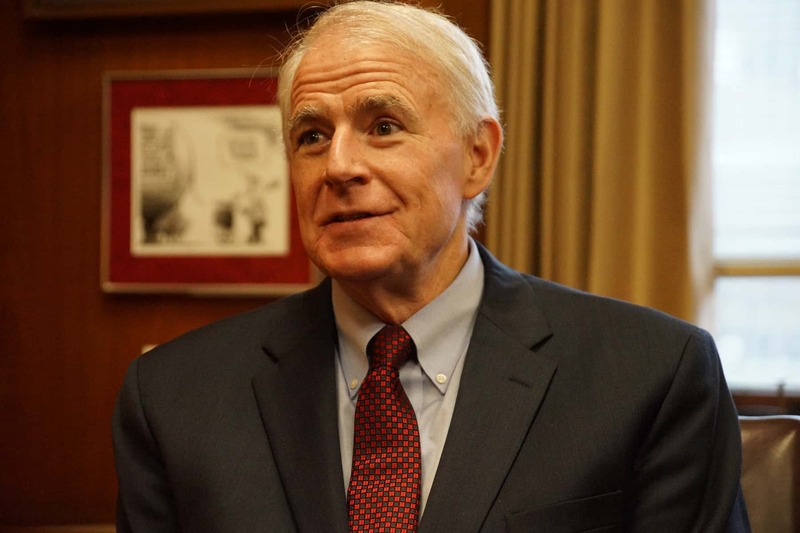 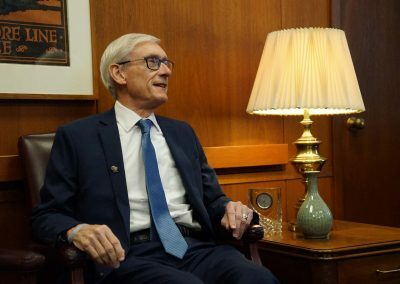 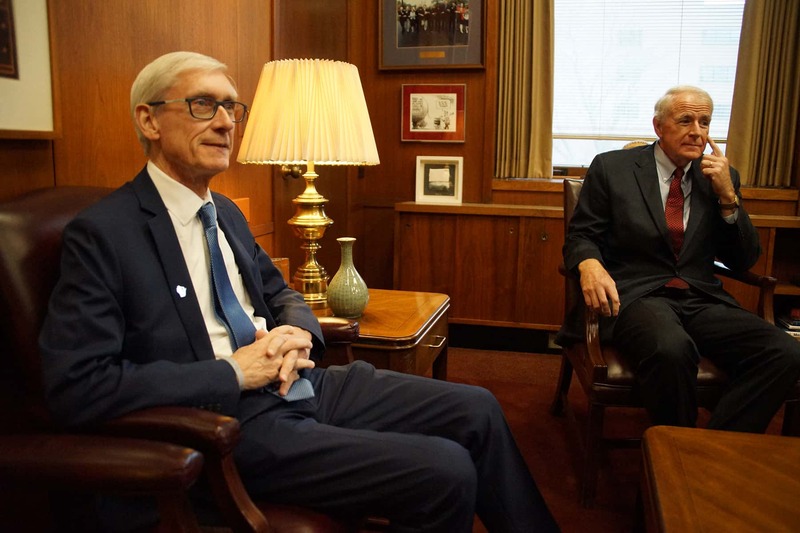 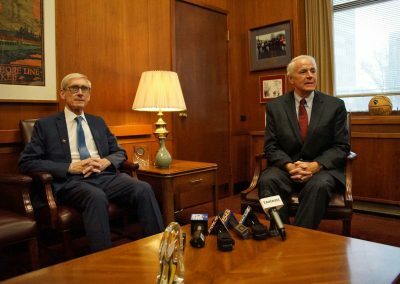 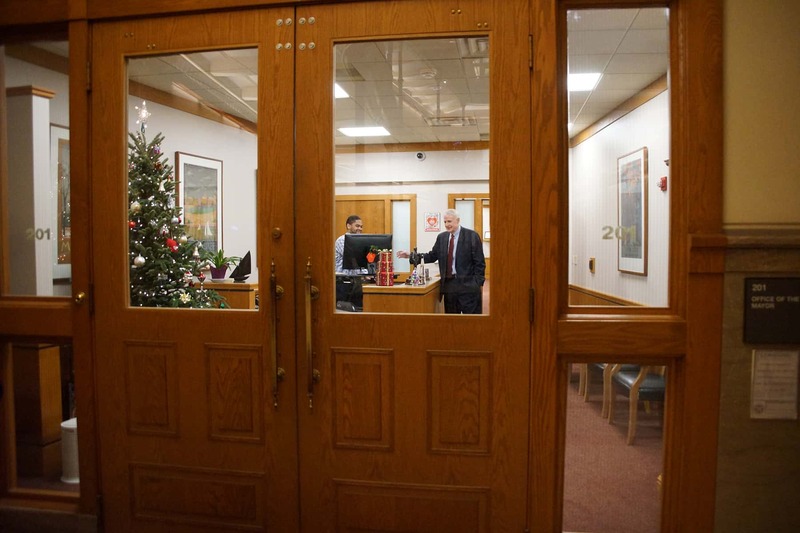 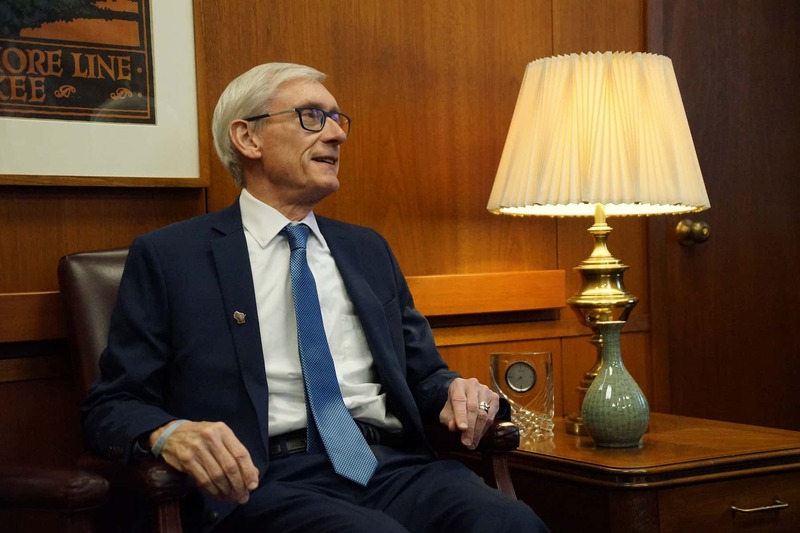 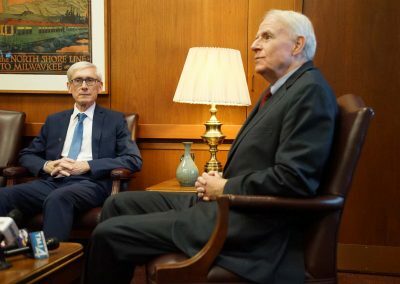 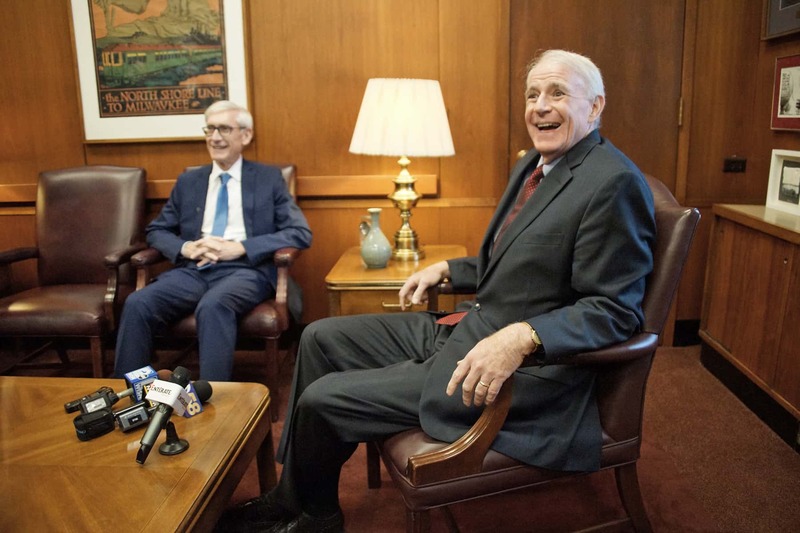 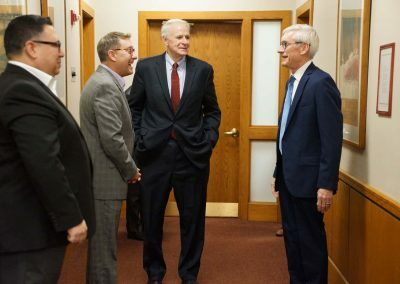 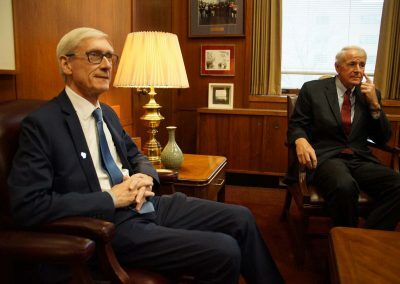 Sitting with Governor-elect Evers in his office, Mayor Barrett said that the meeting was the first time in years that a governor or governor-elect had taken the time to make a visit. 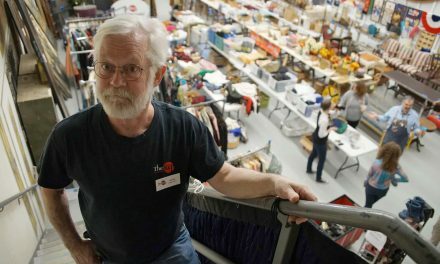 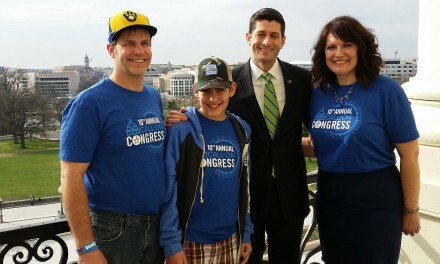 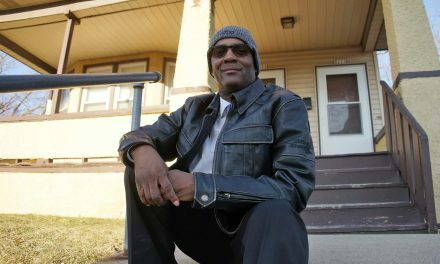 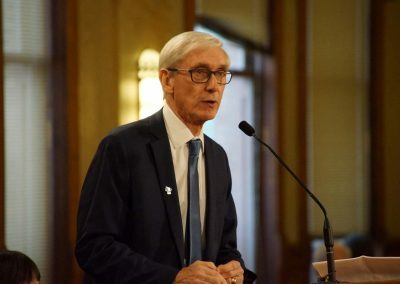 He was also thankful that the Governor-elect saw Milwaukee was a part of Wisconsin, not a rival entity. 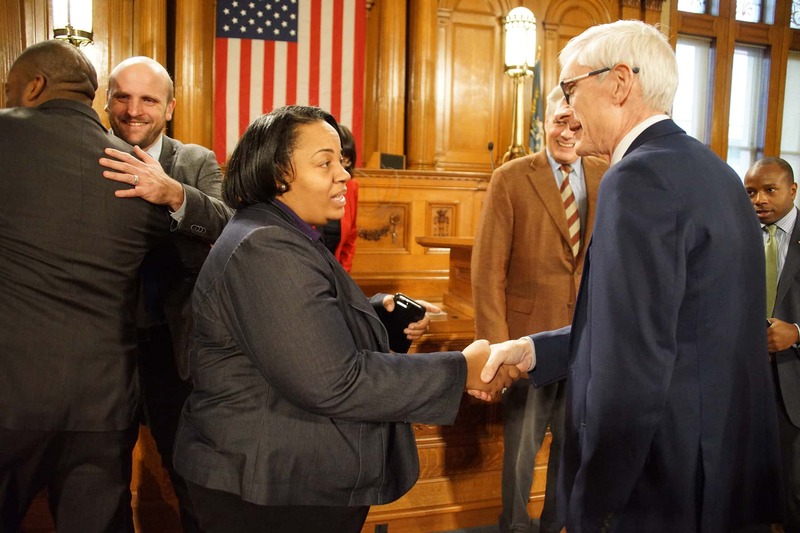 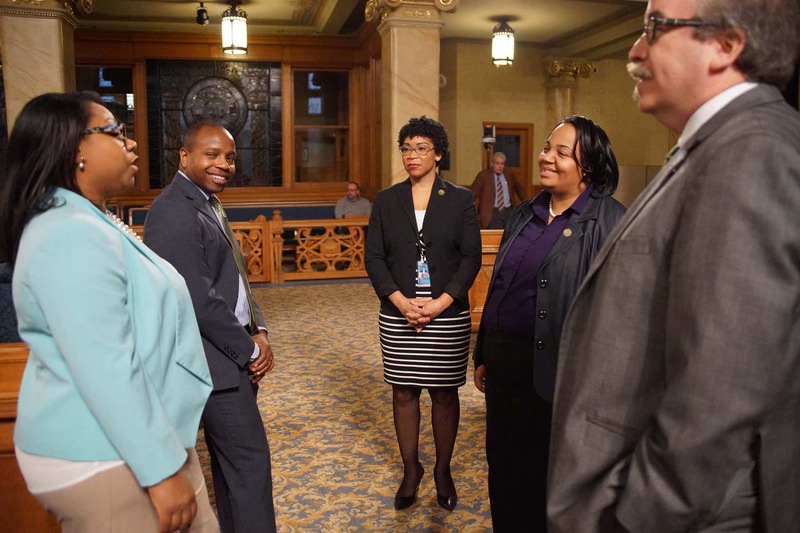 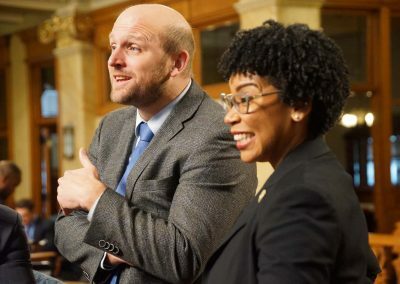 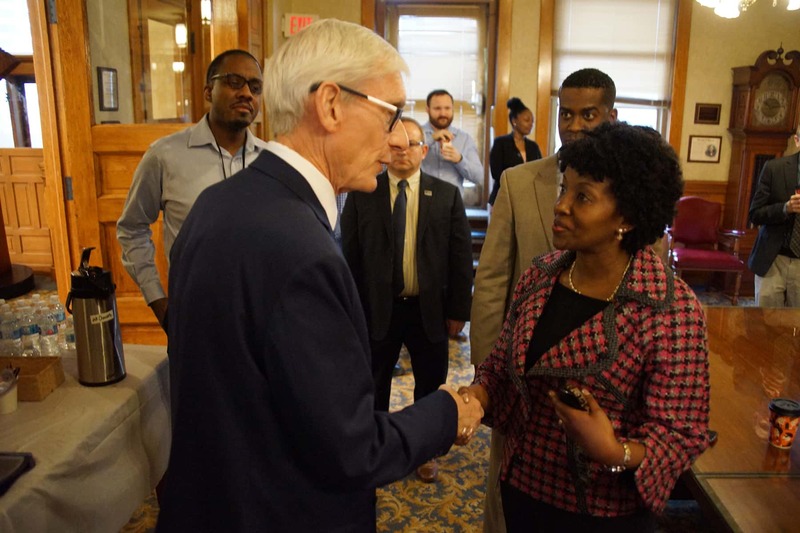 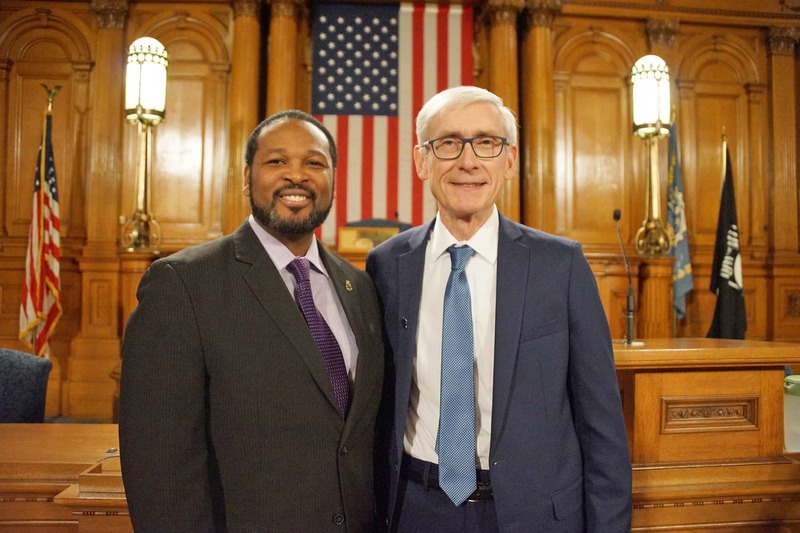 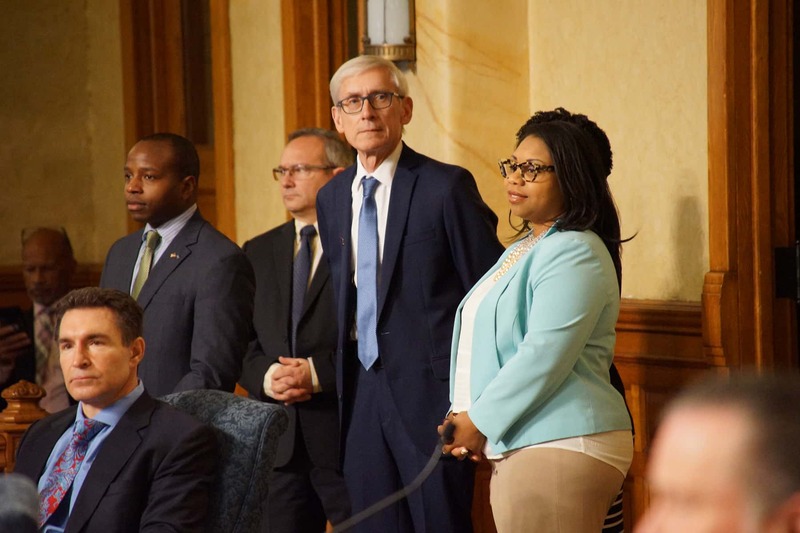 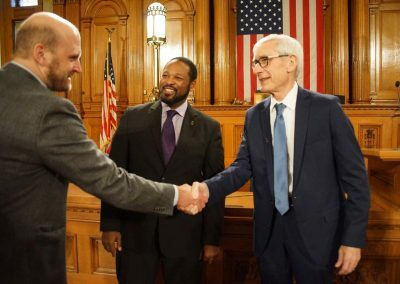 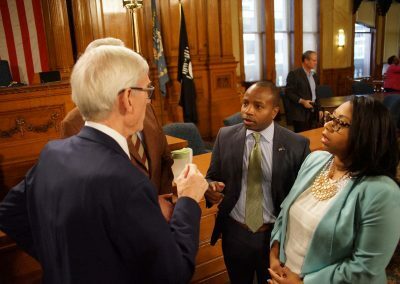 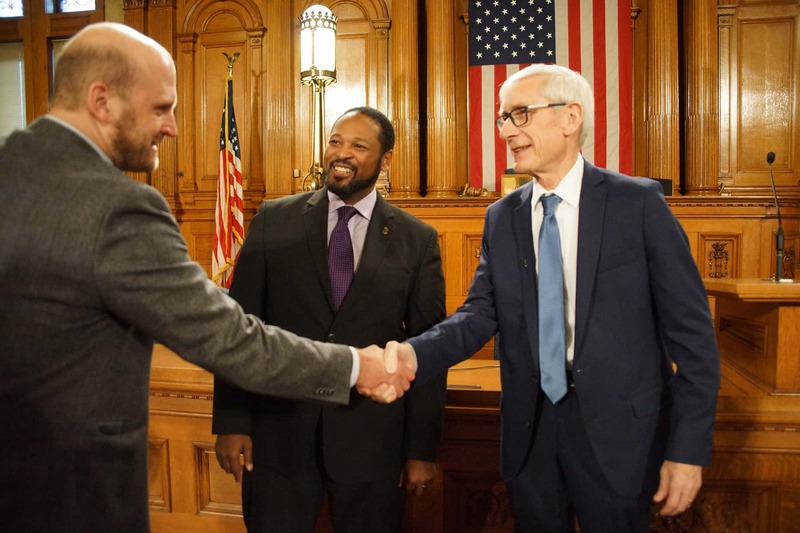 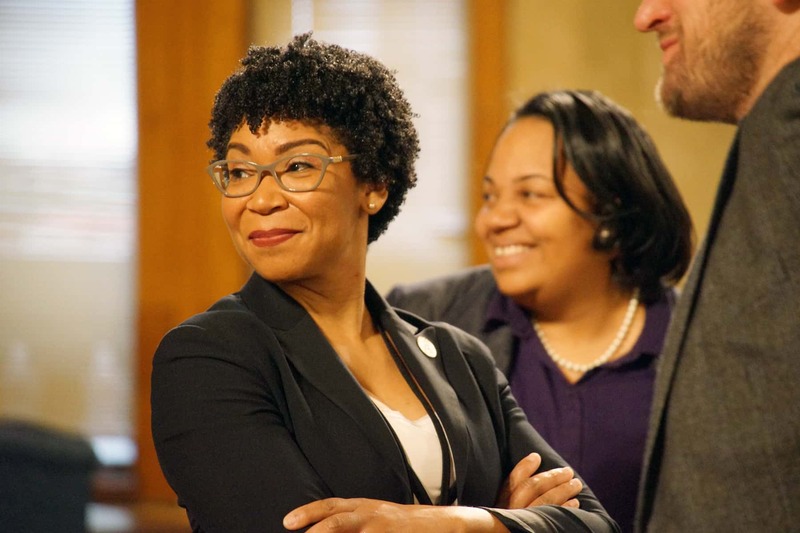 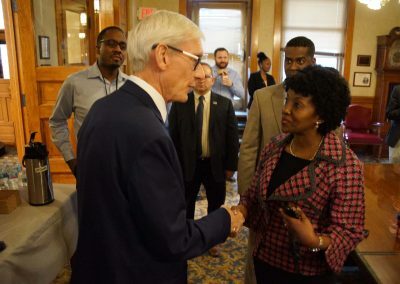 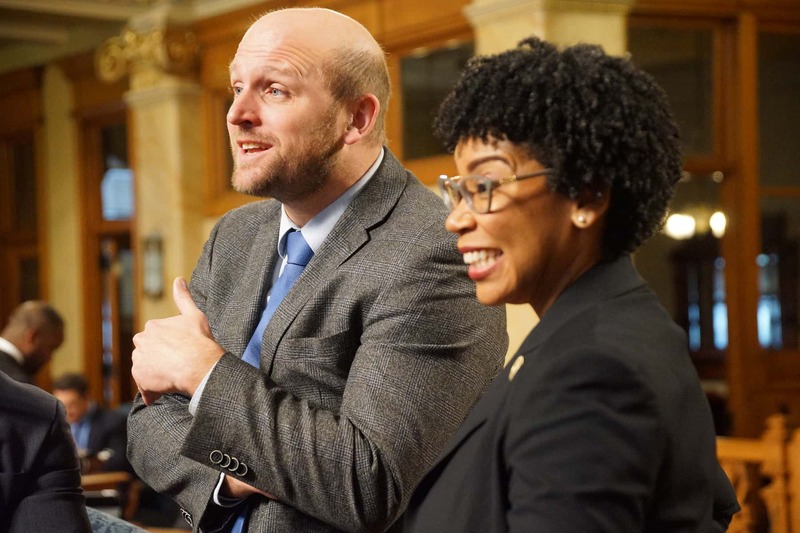 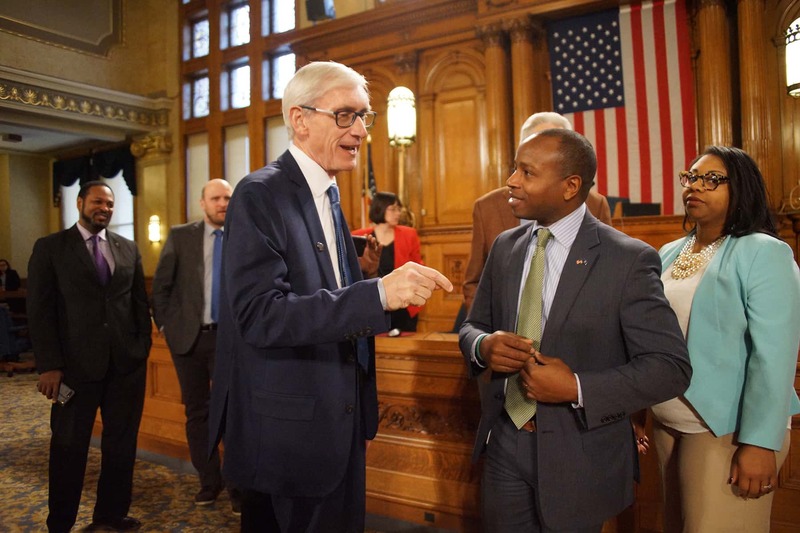 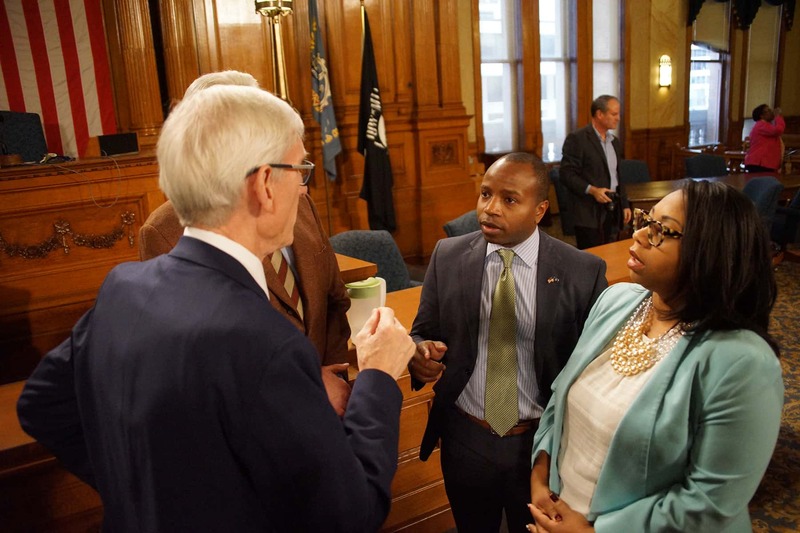 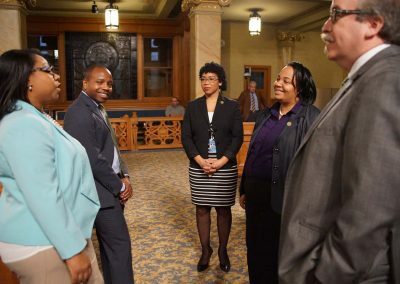 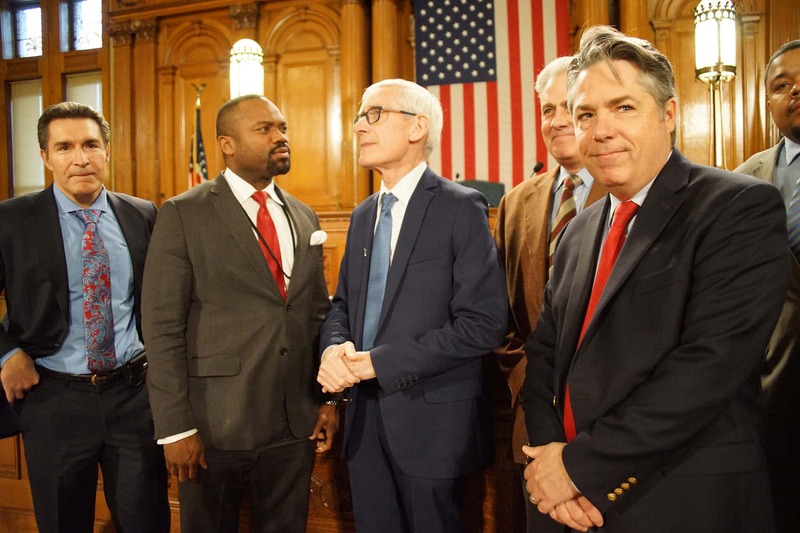 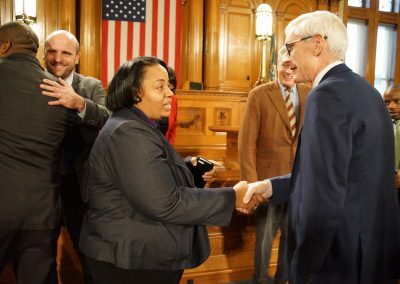 After a private talk with Mayor Barrett, Governor-elect Evers spoke with Common Council President Ashanti Hamilton before giving a public address to the entire Common Council. 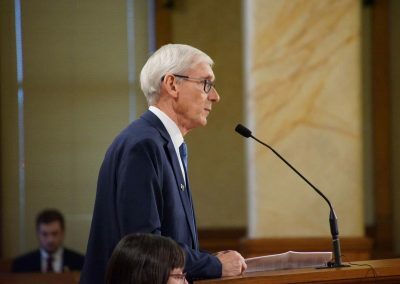 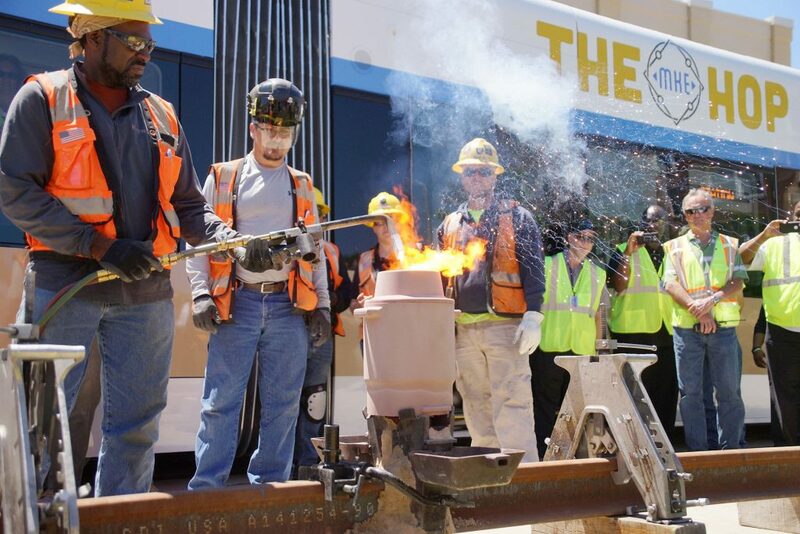 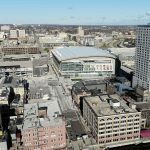 In his speech, Governor-elect Evers said that he was looking forward to working with cities across Wisconsin, and especially Milwaukee because “in order for us to a have a strong Wisconsin, we have to have a strong City of Milwaukee.” As the largest municipality in Wisconsin, a healthy partnership would be essential, because Milwaukee is a catalyst for many other areas in the region. 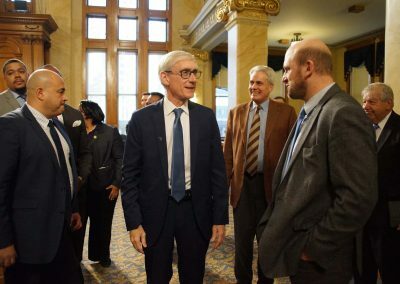 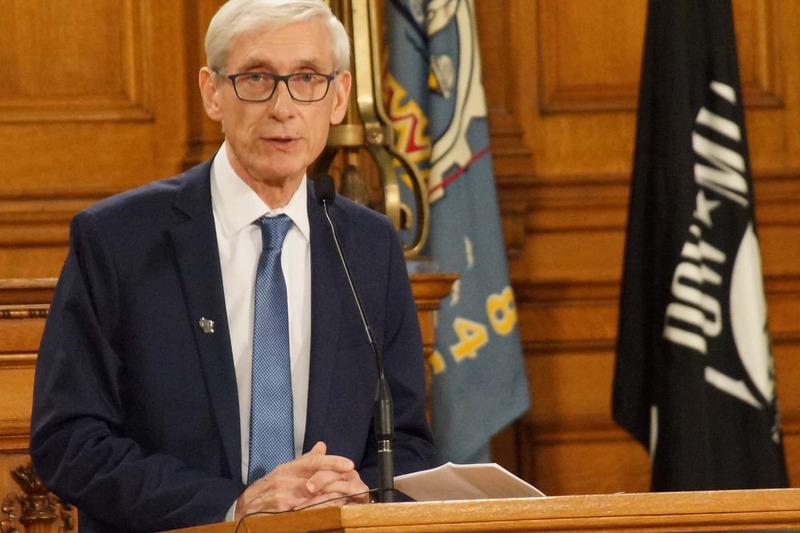 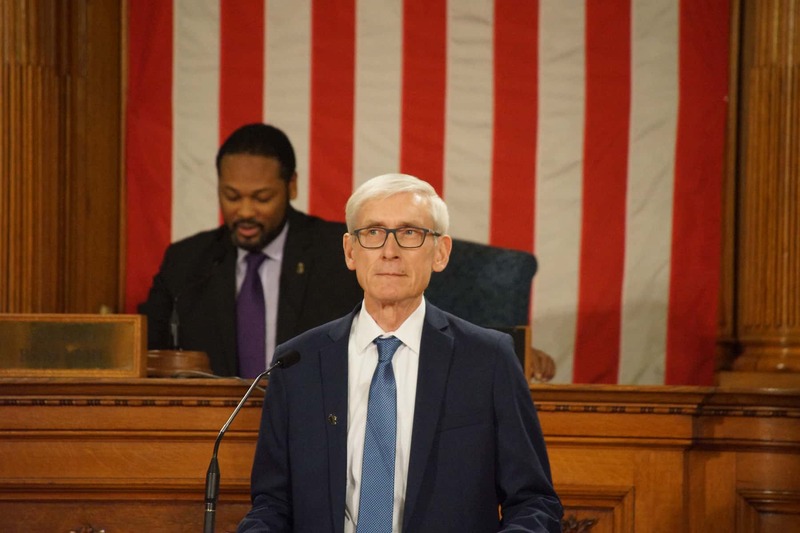 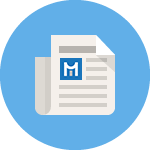 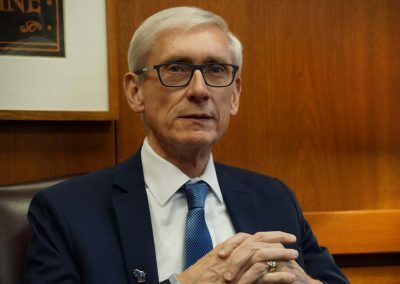 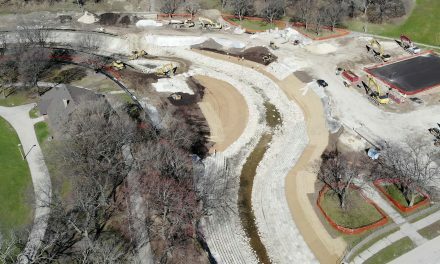 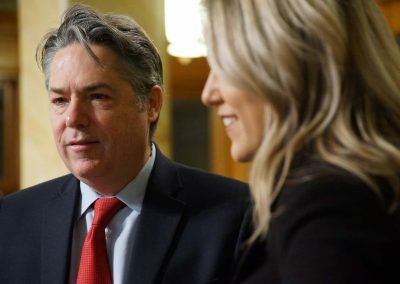 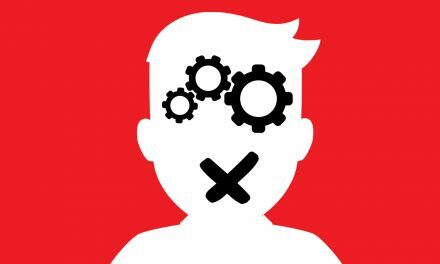 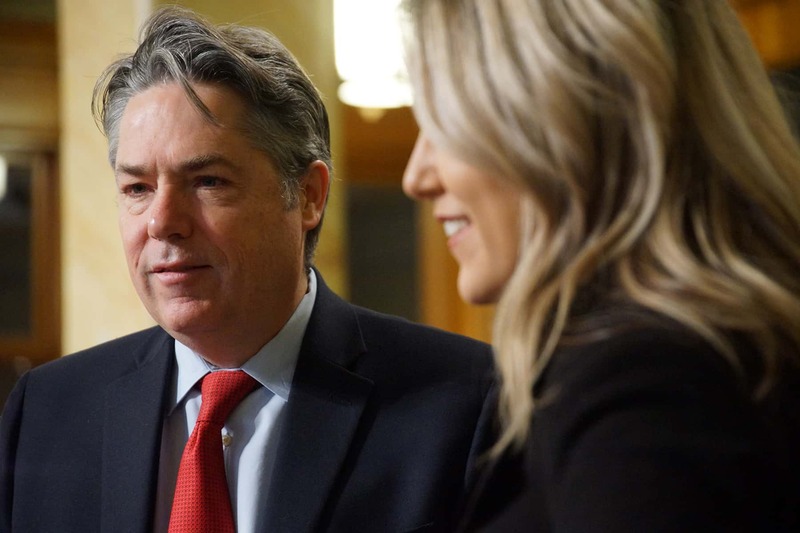 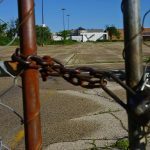 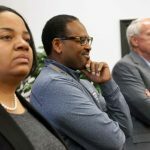 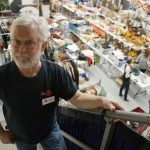 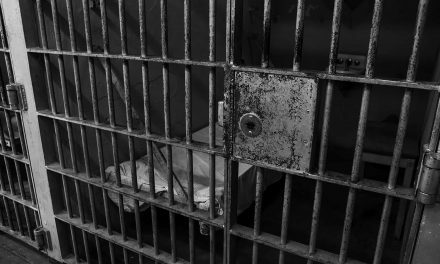 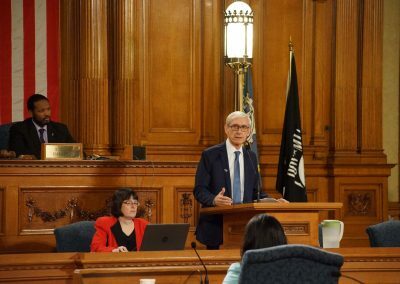 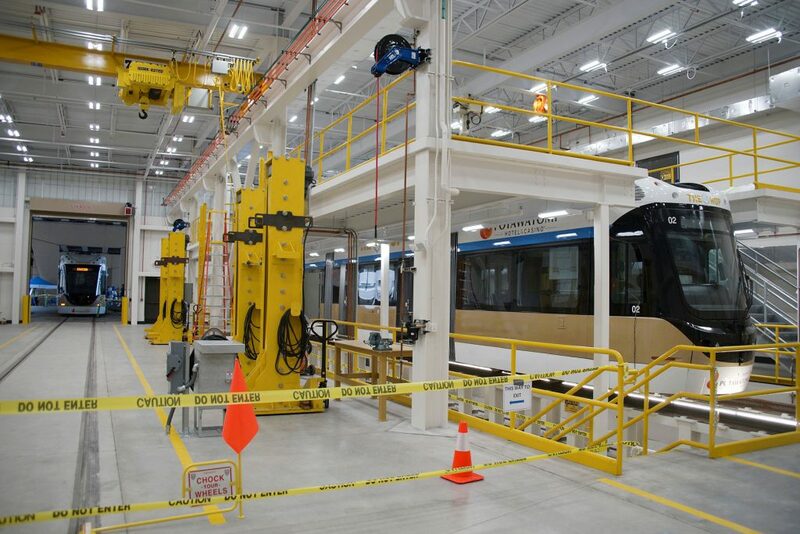 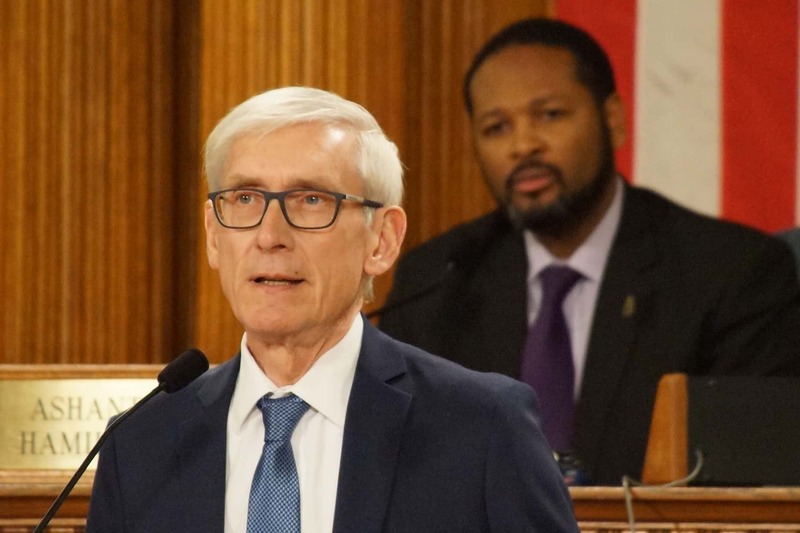 While Governor-elect Evers was in Milwaukee, his elected position faced a controversial plan in Madison. 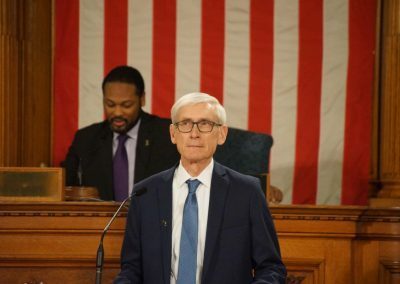 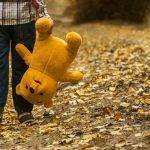 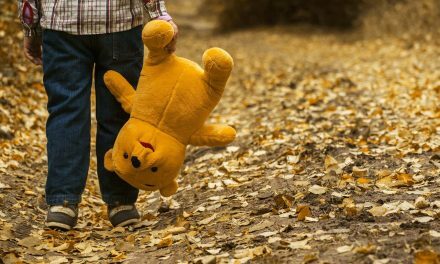 The State Legislature, driven by keeping a Republican monopoly on state power, used a lame-duck session to restrict his ability to govern. 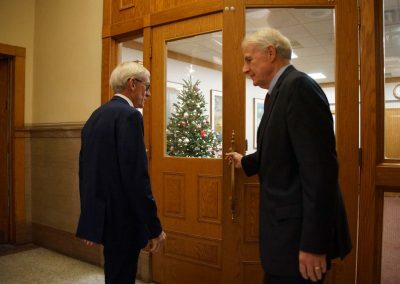 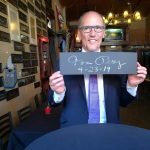 The Governor-elect acknowledged that before he could find common ground with opponents, his administration would have a rough start due to the Legislature’s efforts. 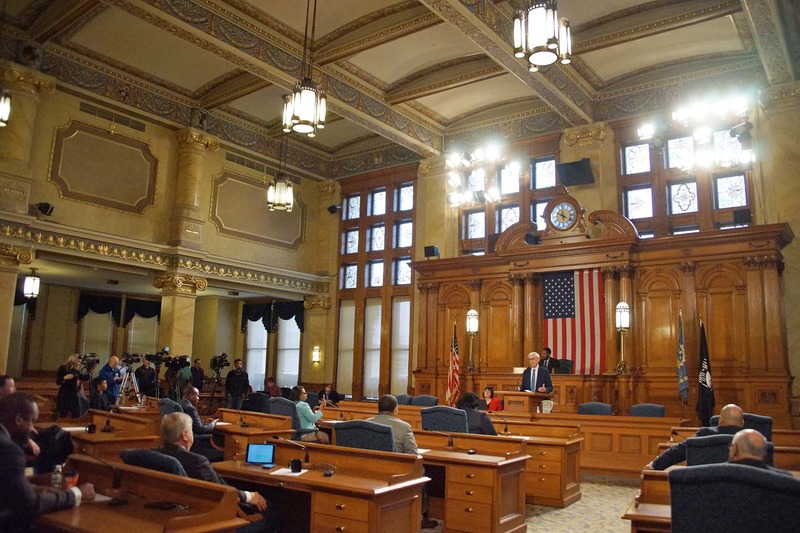 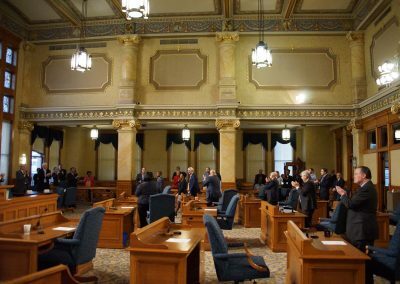 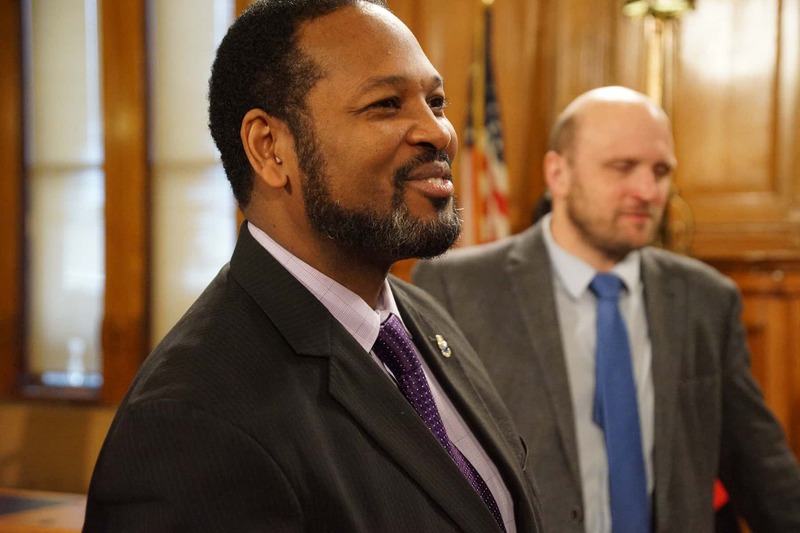 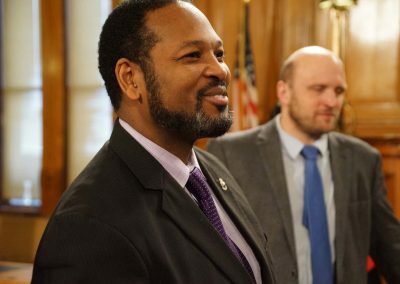 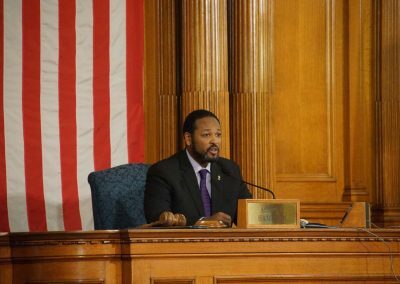 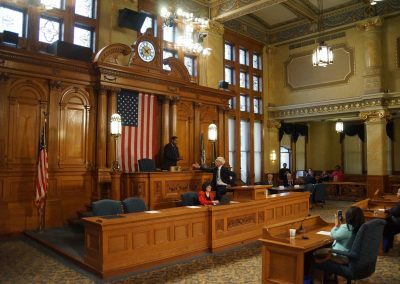 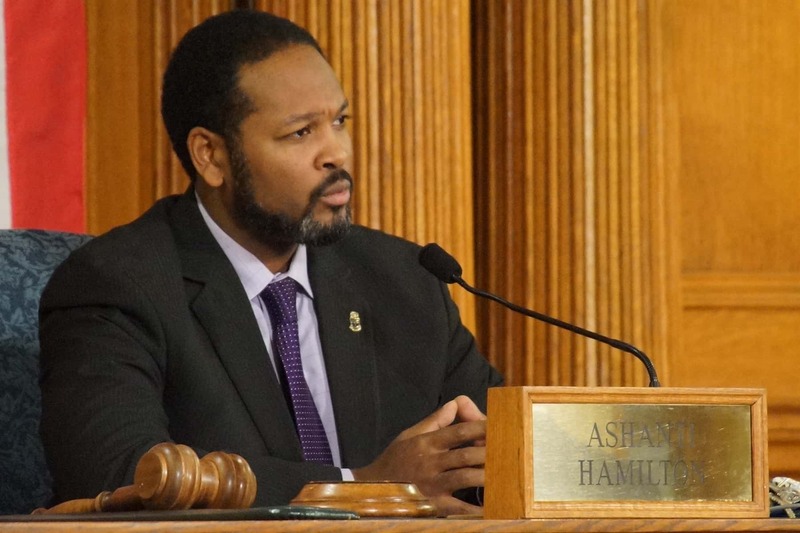 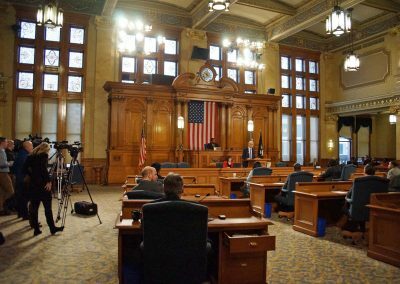 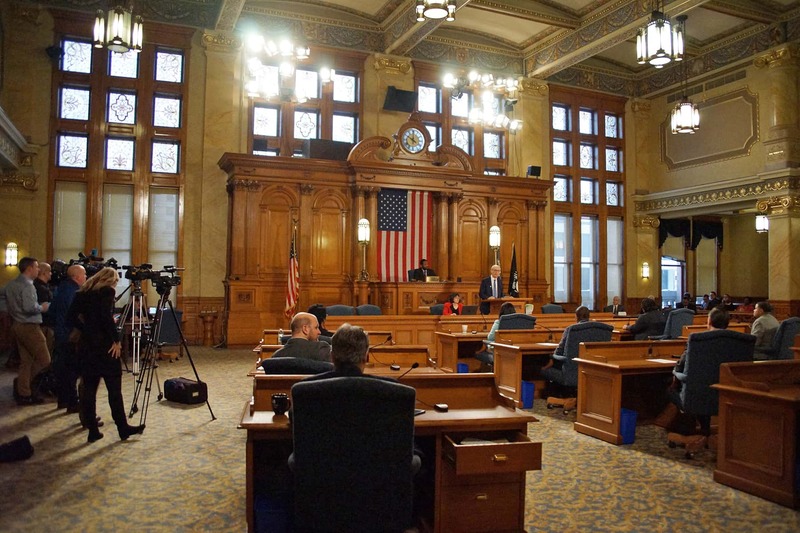 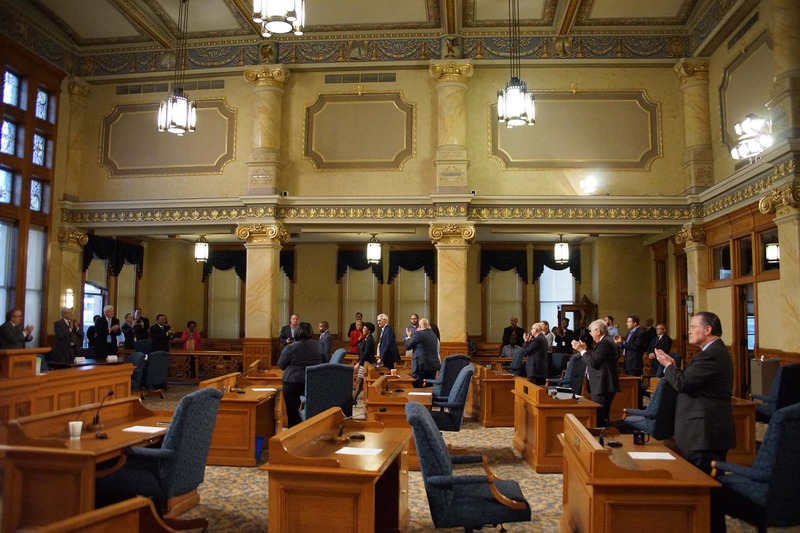 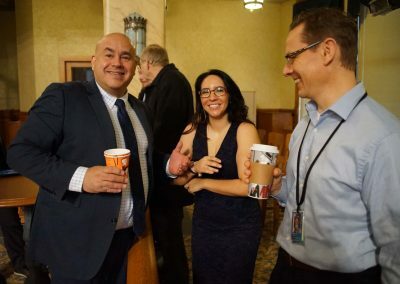 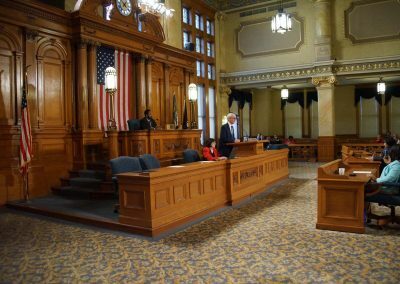 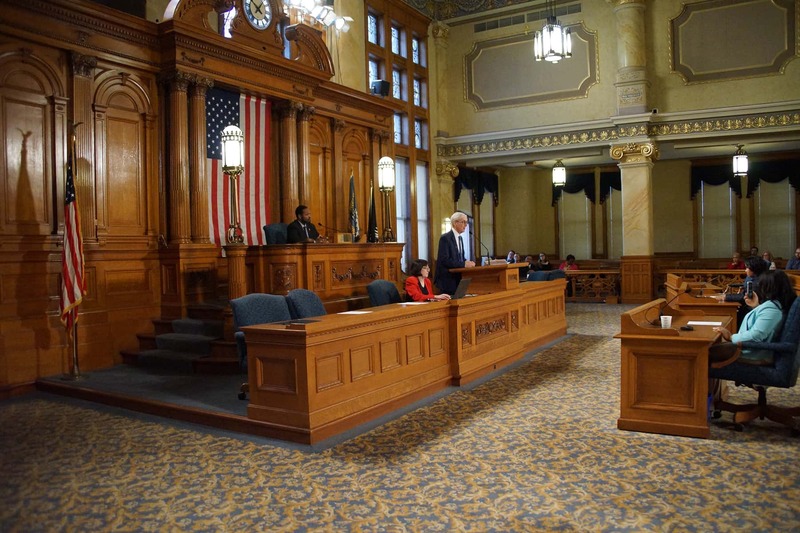 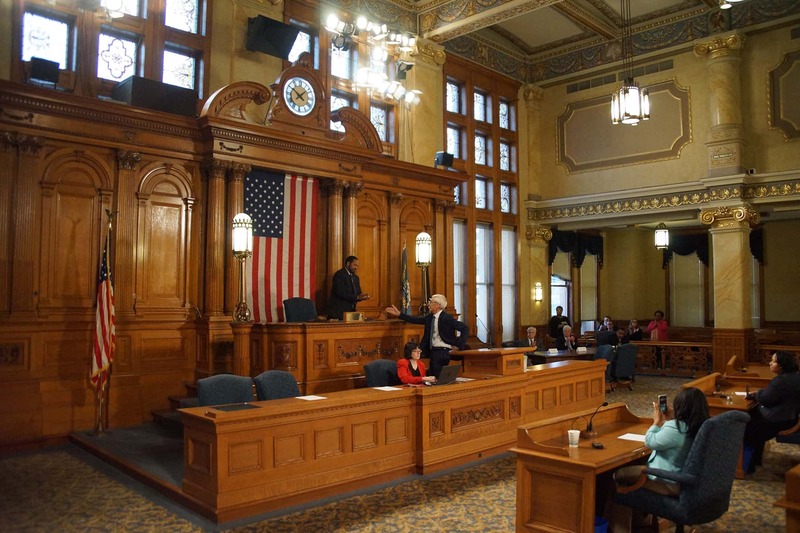 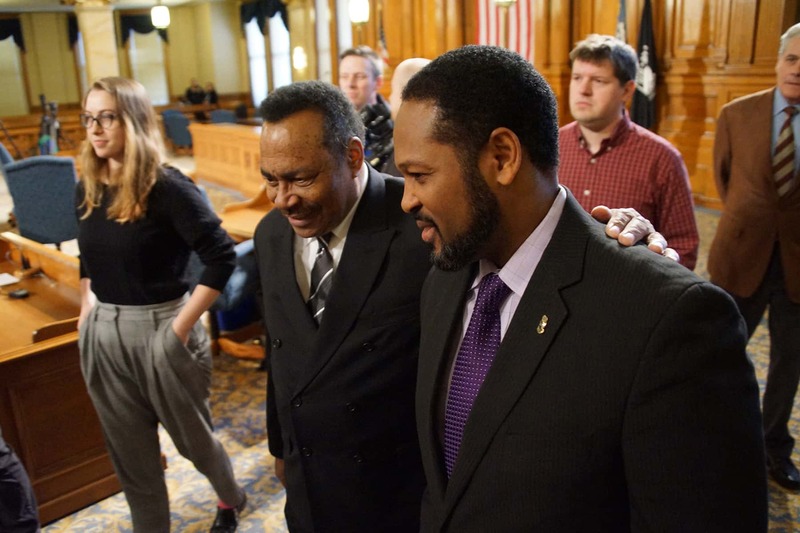 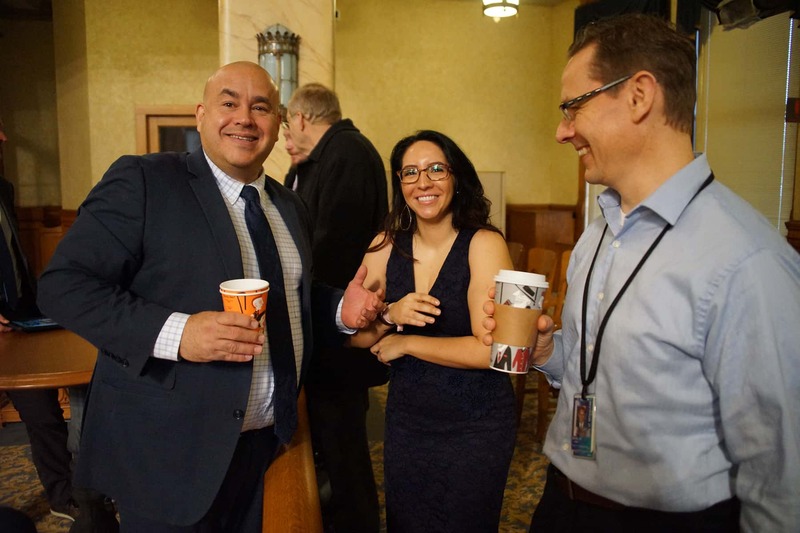 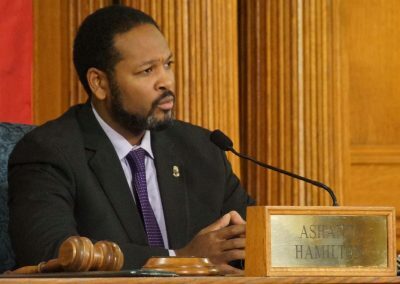 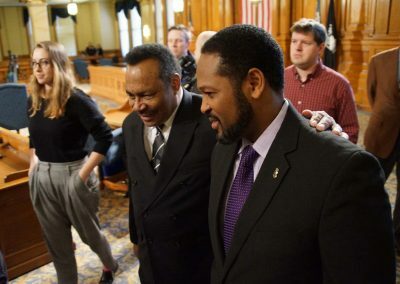 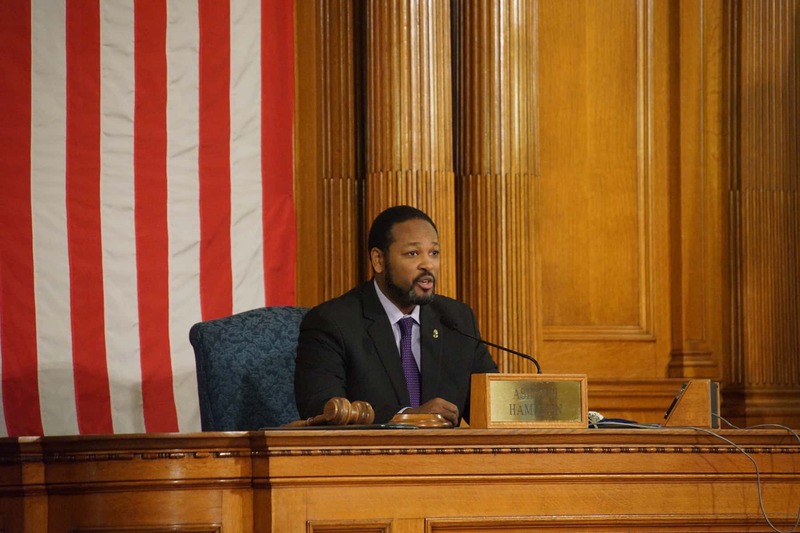 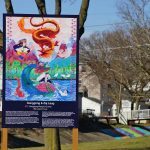 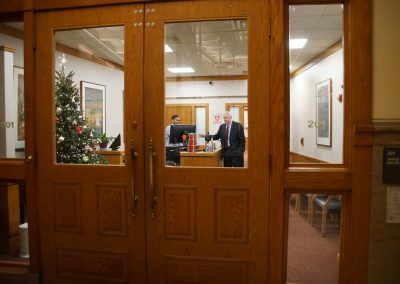 This audio was recorded live during the Governor-elect’s speech to the Common Council, and the images show moments of his time at City Hall.